Giuseppe Melchiorre Sarto was born on 2 June 1835 in Riese, Province of Treviso, in the Kingdom of Lombardy-Venetia, which was then part of the Habsburg Empire. His father, Giovanni Battista Sarto, was the town postman, and his mother was Margherita Sansone. Giuseppe, the second of ten children, was baptized the next day in the local parish church. As a youth Giuseppe studied Latin with the local parish priest and then for a few years traveled by foot with his brother to the gymnasium at Castelfranco Veneto for regular schooling. He was later awarded a scholarship from the diocese of Treviso to study at the seminary at Padua in preparation for priestly ordination; his grades there were among the highest in his class. Giuseppe Sarto was ordained a priest on 18 September 1858 and was sent to be the assistant at the parish in Tombolo, where he was highly regarded for his preaching. He also dedicated himself to the children of the parish, whom he instructed diligently in Catholic doctrine. In 1867 the bishop of Treviso appointed Don Giuseppe as pastor of the parish in Salzano where he also became quite popular, especially because of the care he gave to the victims of cholera during a serious outbreak of that deadly disease. During these years in Salzano the bishop appointed him a canon of the cathedral and later made him chancellor of the diocese. After a time administering the diocese of Treviso and teaching theology in the local seminary, where he also served as spiritual director, Monsignor Sarto was named bishop of Mantua by Pope Leo XIII and was ordained to the episcopacy on 16 November 1884. Lacking a doctorate, he received a dispensation from the pope so he could be raised to the episcopal office. Bishop Sarto was well thought of during his years at Mantua, not only by his people but also by Pope Leo himself who was well-informed of the bishop’s personal integrity and reputation. Much to his chagrin, and no matter how he tried to dissuade Pope Leo – even travelling to Rome to appeal personally to him – the pope appointed Bishop Sarto to the Sacred College of Cardinals on 12 June 1893 and, three days later, named him Patriarch of Venice. Cardinal Sarto reluctantly accepted this new position even though he was unable to go to Venice because of poor relations between the Church and the Kingdom of Italy. It was not until the next year that Cardinal Sarto was able to take possession of his new diocese. As popular in Venice as he had been in Tombolo, Salzano, and Mantua, Cardinal Sarto quickly gained the respect and affection of the people and clergy of Venice. He avoided involving himself in political issues and focused himself on social programs and strengthening parish life. On 20 July 1903 Pope Leo XIII died. Soon the members of the Sacred College of Cardinals made their way to Rome to begin the process of electing a successor to this venerable bishop of Rome. During the conclave, after the Habsburg Emperor Franz Joseph exercised an imperial veto against the election of Cardinal Mariano Rampolla, the cardinals of the Church turned to the sixty-eight year old Patriarch of Venice. On 4 August, after first refusing election, Cardinal Sarto, claiming his lack of worthiness, begged his brothers to choose another. However, they would not do so and so the cardinal reluctantly accepted the outcome of the ballot. Cardinal Sarto, now Pope Pius X, was crowned on 9 August. 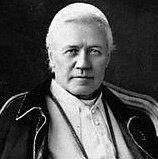 Pope Pius X, having chosen the episcopal motto “Instaurare Omnia in Christo,” considered this his first task – to restore all things in Christ. Among his many concerns were the increased use of Gregorian Chant in Catholic worship; various liturgical reforms, including that of the Breviary, and lowering the age for First Holy Communion; reform of the Roman Curia (the governance of the Church); publication of a unified Code of Canon Law; teaching against the heresy of Modernism, and others. Pope Pius also concerned himself with the relationship of the Holy See and various nations, including the Kingdom of Italy, the Empire of Russia, the United States of America as well as the United Kingdom, among others. His intention was always to strengthen the position of Catholics in these countries as well as freedom of worship. The pope also worked very hard to intervene in the continental struggles that eventually led to the outbreak of the Great War. It had been his fervent hope and prayer that this catastrophic world war could be avoided. Unfortunately, he was unsuccessful in this endeavor. Falling ill on the feast of the Assumption (15 August 1914), Pope Pius lingered for just five days and died on 20 August, following a heart attack. It was said that the pontiff died of a broken heart caused by the war itself. Pope Pius X was first buried in a simple tomb in the crypt of St. Peter’s Basilica though his body was later moved upstairs to the main nave of the basilica where it can be seen under the altar of the chapel of the Presentation. Pope Pius X was beatified on 3 June 1951 by Pope Pius XII, who has been a member of the papal court during the reign of Pius X. The same pope canonized Blessed Pius X on 29 June 1954 and established 21 August as his feast day on the universal calendar. During his lifetime many people sought out Pope Pius X for his prayers, which caused him great discomfort. He would tell them, “I am just a tailor (sarto) and not a saint (santo).” Many miraculous cures were attributed to him even while he was living and after his death numerous cures and healings were also attributed to his intercession.